Somalia is an Islamic Republic located in Eastern Africa. Since the collapse of its dictatorship in 1991 the country has sank into chaos. Freedom of information and press are at а critical condition and journalists are the subject of persecution and censorship. Ranked 168th on the 2018 World Press Freedom Index, compiled by the non-profit organization Reporters Without Borders (RSF), Somalia is at the bottom of media freedom out of the 180 reported countries. According to RSF, corruption, repressive politics, and general lack of centralized government power have crippled the free flow of information. As of 2013 Somalia has gone up by seven countries on the World Press Freedom Index. This improvement, however, constitutes very little progress since journalists are met with violence by both the government and the rebel Islamist movement, Al-Shabaab. According to Freedom House, a watchdog organization dedicated to expanding democracy and freedom around the world, Somalia is among the most hostile and dangerous places for journalists. The weak government proved to be incapable of stopping the economic and institutional decay of the country. 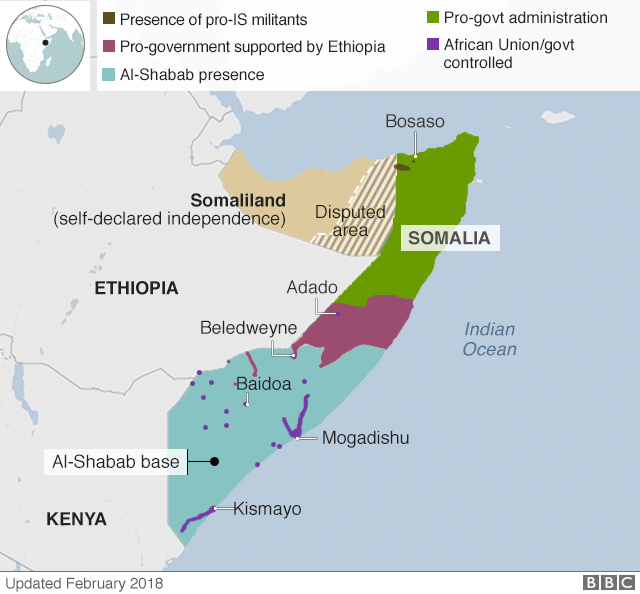 Being polarized and fragmented, in 2006 Somalia was infiltrated by radical jihadist groups, such as the infamous Al-Shabaab which is the prime suspect behind the majority of the journalist killings. Watchdog organizations, such as The Committee to Protect Journalist (CPJ), classify Somalia as a country in which the murder of journalists goes unpunished. The CPJ’s data show that for the last three years a total of seven motivated journalist killings have been committed, with the last one being that of the veteran broadcast journalist Awil Dahir Salad who died during an explosion in Mogadishu, the capital of Somalia. In 2012, Somalia had its first presidential election since 1976. Even though, some degree of democracy has been restored the information flow within the country is very limited and many people rely on foreign broadcasting services. With an approximate population of 15 million, Somalia has only 20 radio stations that dominate the media as the press and TV sectors are weak. Due to the poor infrastructure domestic web access is very limited. According to internetworldstats.com, only 8% of the Somalian people have used Internet in 2017 . Yoan Bondakov is an AUBG student majoring in Journalism and Mass Communication who hopes to become a writer.